The games industry is still young, and so it hasn't been especially effective in reflecting the many and wonderful cultures of the world. That's not surprising, of course, because as with any emergent art form it has taken time for games to be accepted as a storytelling medium, but as a critic it is difficult for me to sit here and say that games have artistic merit, but then have a limited range of works to point to that perform one of the most important functions of art: reflect and represent culture to the wider world. In games we hadn't really seen our version of Niki Caro's brilliant film, Whale Rider, for example. But all that has changed now. 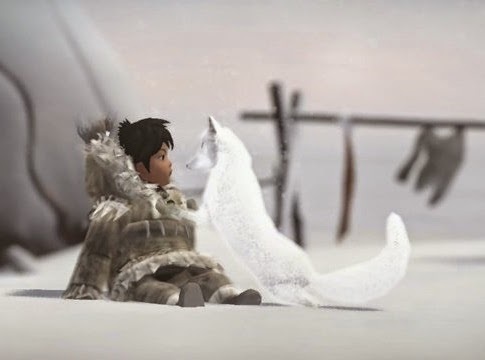 Never Alone, or Kisima Inŋitchuŋa, is a retelling of an Iñupiaq (Alaskan Native people) folk story, and it holds within a wealth of cultural context that makes it every bit as powerful and enlightening as Whale Rider. This game is a rich exploration of a story we simply don't hear often, and it's the kind of game I encourage everyone to play, because through it we're not just playing something enjoyable, but learning something vital about another group of people, the lives they live and the stories they tell. 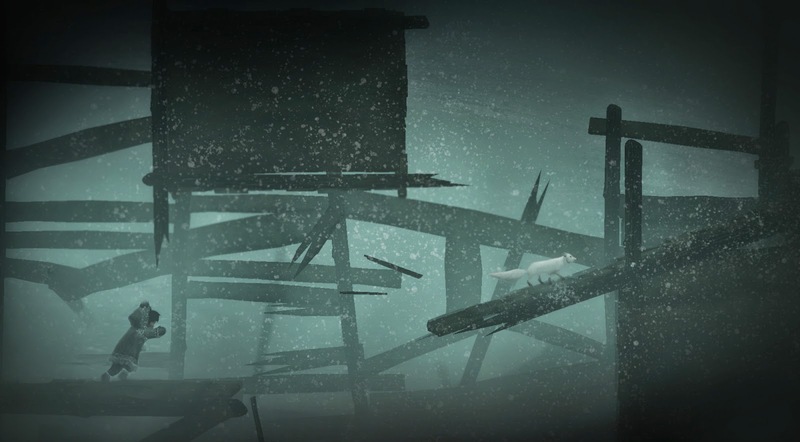 The game itself is a charming little 2D puzzle platformer in which players need to navigate a young Iñupiaq girl and her companion Arctic fox through eight chapters of trials and tribulations. Set in the cold north where the environment is deadly and the most basic elements that we take for granted, such as wind and water, are quite capable of killing, everything in Never Alone is lethal. So much of your time in the game will be contending with the elements that they take on personality all of their own, and at the same time nature, in the form of the fox, aids the player on their quests. Through this we see a beautiful sense that our main "enemy," the elements, are also our greatest resource. That is a respect and fear that I can only imagine reflects the realities of the Iñupiaq people's daily lives. Beyond the elements there are other things that the duo need to contend with, from bad people and wild animals through to mischievous fairy-like "little people." As with most folk tales these enemies are quite simple in characterisation, because traditionally they would be used to teach a younger generation morality and communal truths, rather than attempting to explore the richer side of villainy. However, the strategies needed to overcome these opponents vary so nicely from one chapter to the next that they manage to be creative experiences nonetheless. Luckily in the face of all this danger the girl and her fox are not without survival resources of their own. Each character has their own unique abilities and strengths, with the fox being quite agile and can crawl through tight places, while the girl can move objects around and has bolas (a traditional throwing weapon) which can be tossed at an obstacle around to clear a path. The bulk of the game's puzzles need to be solved by having the characters work together to overcome both human and natural dangers, and this focus makes sense when you consider that it matches with the narrative and the wisdom that the folk tale is describing. 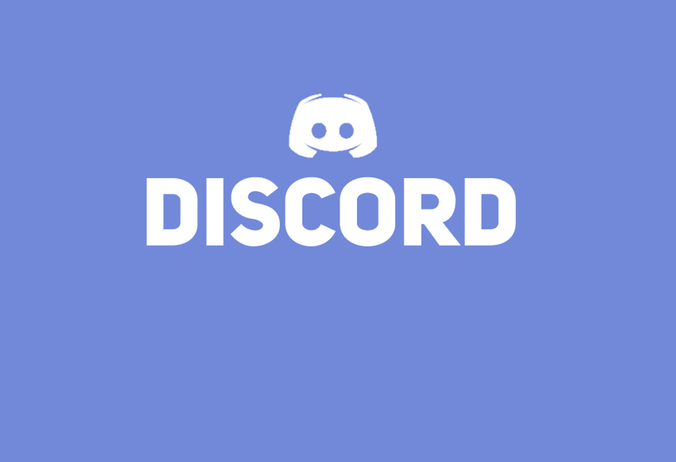 The developer recommends that players experience Never Alone in co-operative two player mode, in order to fully experience the connection between two individuals working together towards a common goal, and I agree that this is the best way to experience the game. The game's not especially difficult, mind you. The intention of Never Alone was always that anyone, regardless of skill, can finish it. Despite this there were some moments where I would make a mistake and either character would "die," and each and every time it was a heart wrenching reminder of just how vulnerable my little heroes were. The whimper of the fox as his body crumples or freezes I found to be especially affecting, and even though I wasn't ever really challenged, I found myself being even more careful around the water than I might have been in a far more challenging game. The game works hard to remain accessible while also reminding players just how brutal the landscape can be, and it strikes a balance between the two so perfect that it's impossible not to care what is going on. 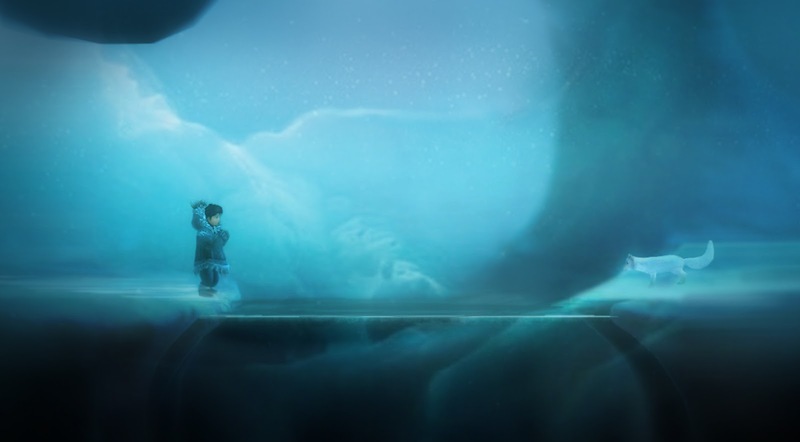 In building the emotional connection between player and environment, it helps that Never Alone is an achingly beautiful game. You would never think that environments that are essentially one layer of white over the next could be an effective visual palette, but it is, thanks to the art designer's eye for the subtleties of colour that you'll see among the white of the real Arctic. There are different shades of white, and the artists have done a brilliant job in capturing these shades in such a way that makes for a far more nuanced art style than you would perhaps think would be possible for a game of this setting. There's also a perfect sense of timing in getting the player to delve underground briefly, or into some other environments (that I won't give away), to break up the visual style with something different. This is the most beautiful Unity-developed game yet, and it's hard not to feel a shiver or two run down the back as you encounter the next chilly environment. So Never Alone positions itself neatly among some of the finest arthouse game luminaries, such as Limbo, Journey, and Brothers: A Tale Of Two Sons. It uses relatively simple mechanics, a subtle charm and a gentle emotional push or two to craft a tale that's compelling from the start right through to the end of the eight chapter. If that's all Never Alone was, then it would be an essential game. But Never Alone is so very much more. It's a genuinely authentic cultural vision too. 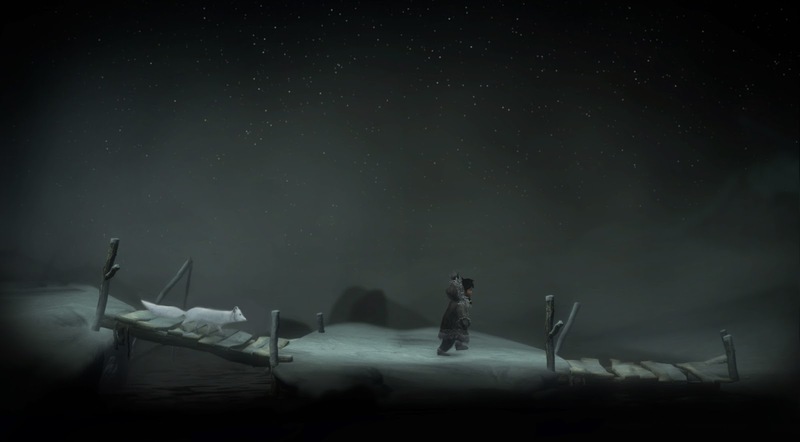 So often in games cultures are reduced to caricatures (and often those are deeply superficial and downright offensive to the actual people), but Never Alone was built with deep consultation with Iñupiaq elders and storytellers. The culture you're seeing in the game is the real deal, in other words, and that authenticity is supported by the unlocks that you'll earn as you play. 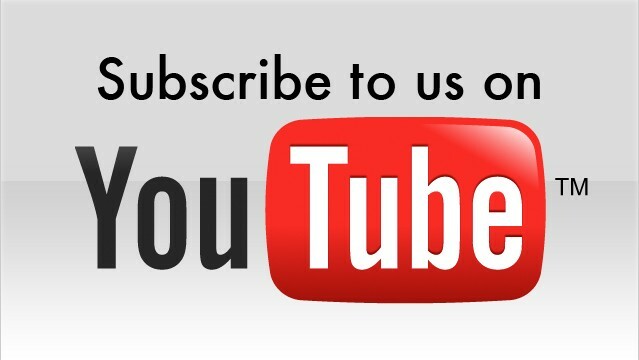 In what is surely the best rewards we've ever seen for progressing through the game, you'll earn short documentaries on the real life versions of the things that you're seeing in the game. My personal favourite is the documentary on the Arctic fox, which makes you quickly realise just how successful the developers have been in capturing the animal's movement and personality in the game. Never Alone is the right kind of approach to teaching through games - it succeeds in being entertaining first and foremost, but supports that by imparting knowledge on the player. I want to see this game in schools. I want to see the Australian Aboriginal people to produce a game of a same standard to my nation's people can learn about their indigenous people in a similarly engaging way. I want more, but that is not a complaint about the amount of content that is in this game. Item Reviewed: Review: Never Alone (Sony PlayStation 4) 9 out of 10 based on 10 ratings. 9 user reviews.